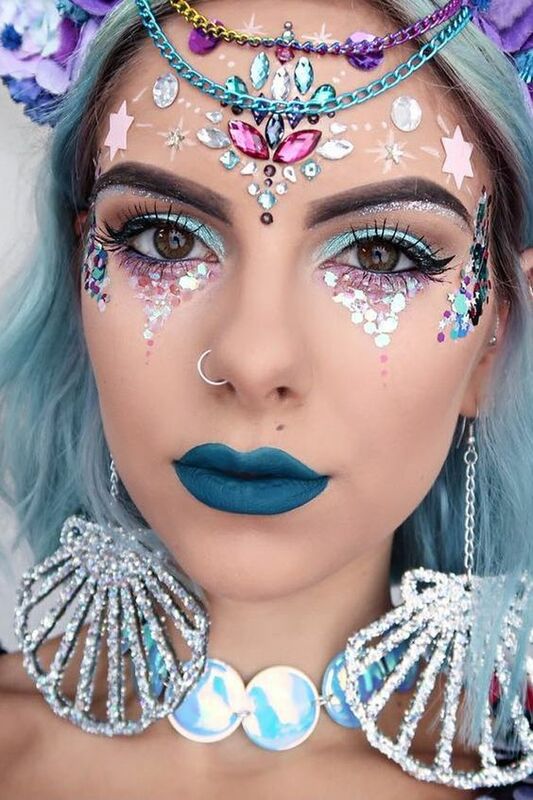 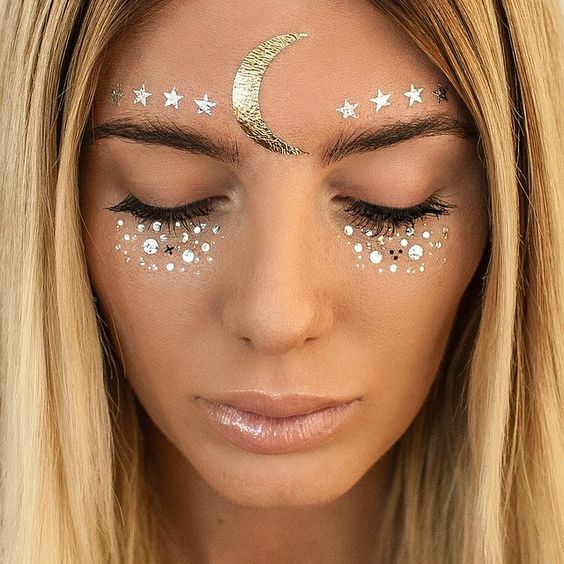 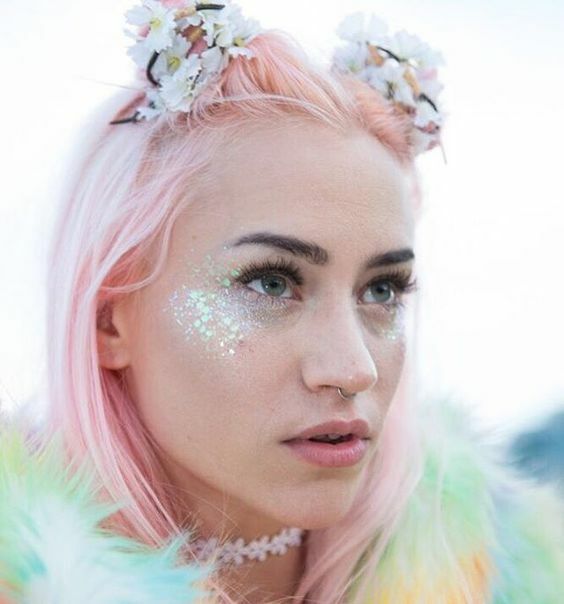 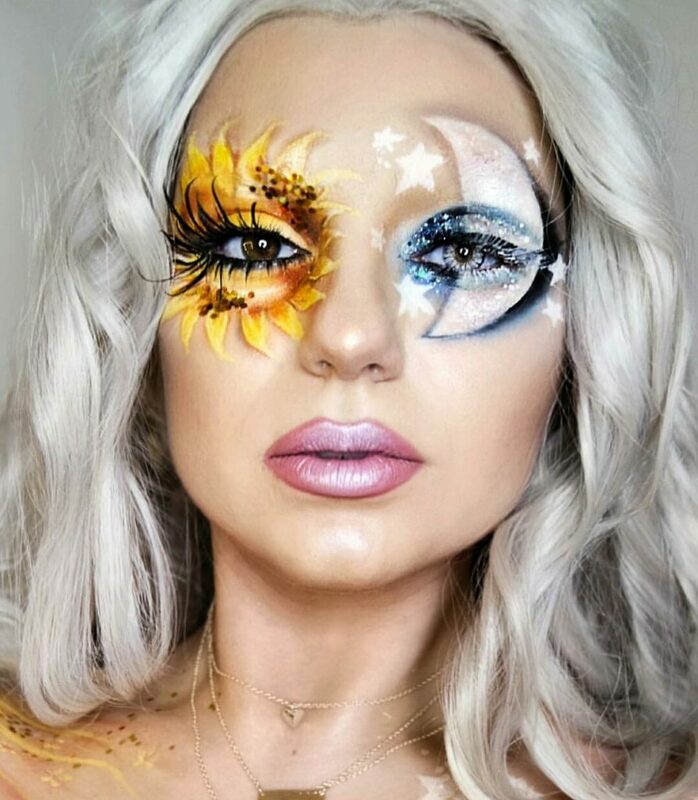 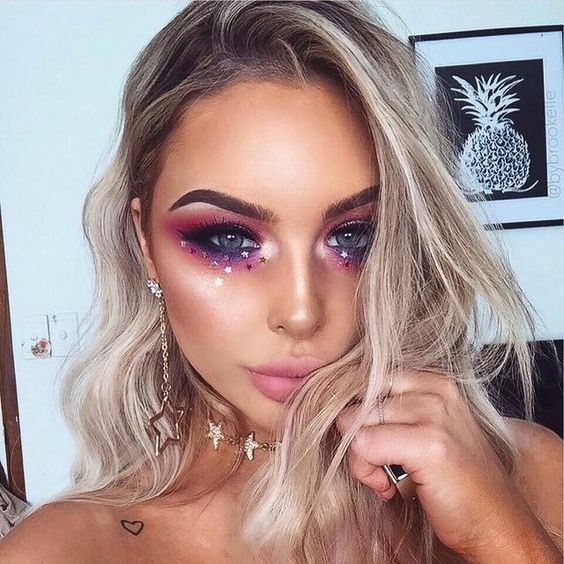 Ahh festival season…Where glitter, pastel hair and face jewels are all considered the norm. 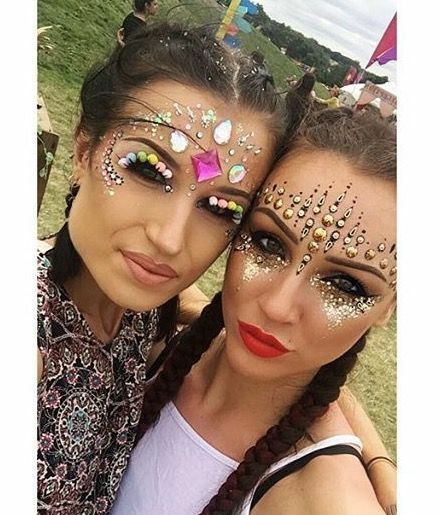 There really isn’t many other places where you can dress completely crazy and people wont look at you weird! 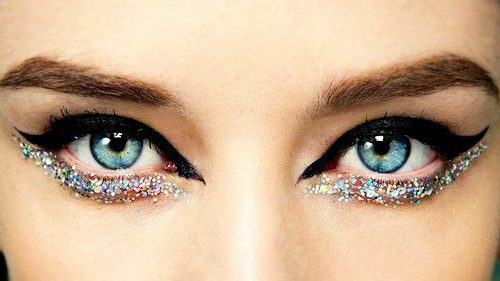 So let loose. 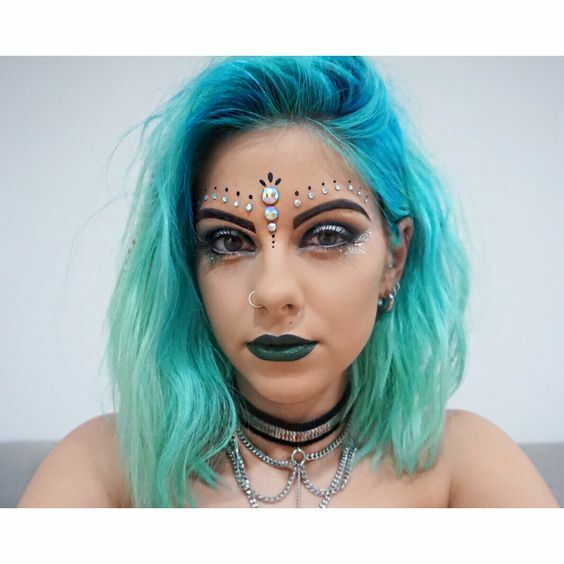 Let your outfit, hair and makeup express your free spirited nature in the boldest of ways. 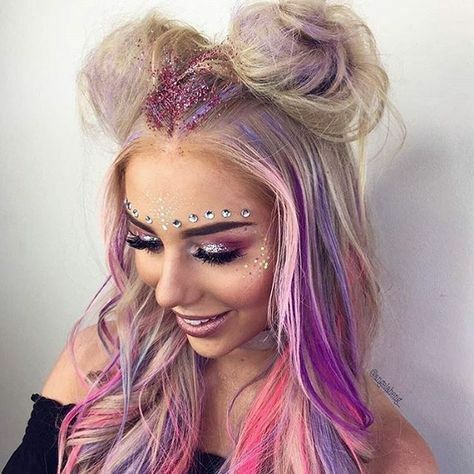 As usual we love everything colourful and sparkly. 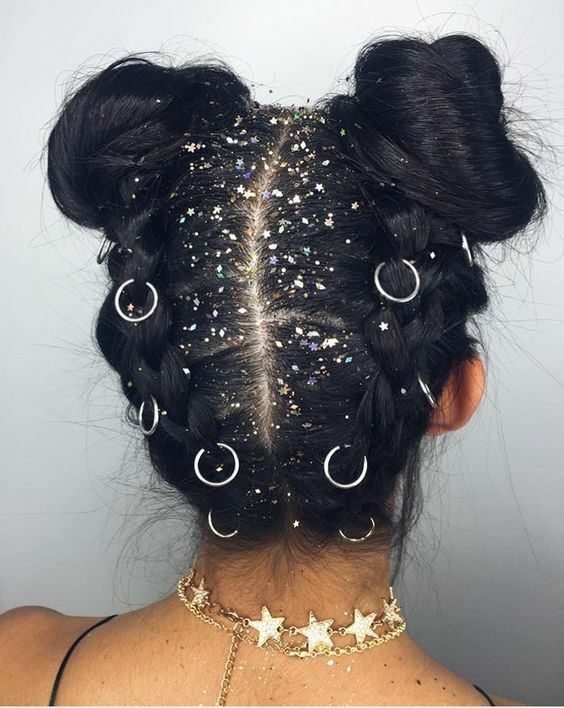 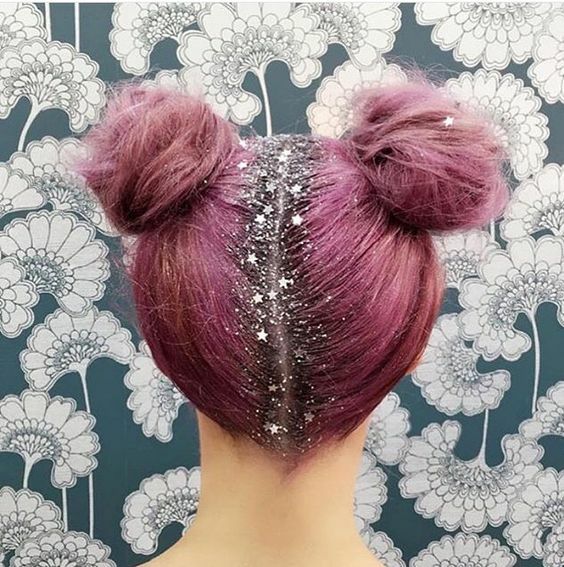 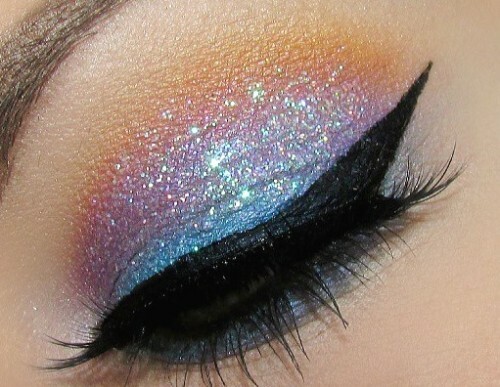 Glitter has moved from face to your hair with the trend being to sprinkle all along your part line. 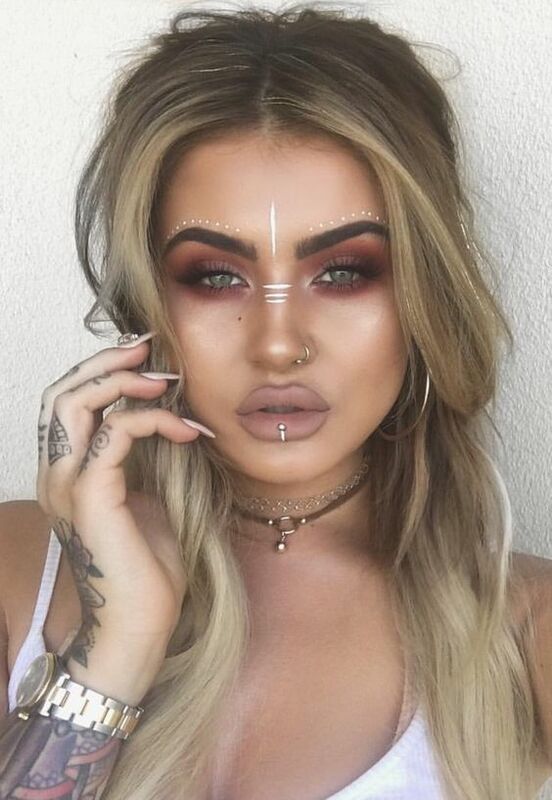 Bindis and jewels are still popular for embellishing your face , think around the eyes and over the eyebrows for that ultimate gypsy vibe. 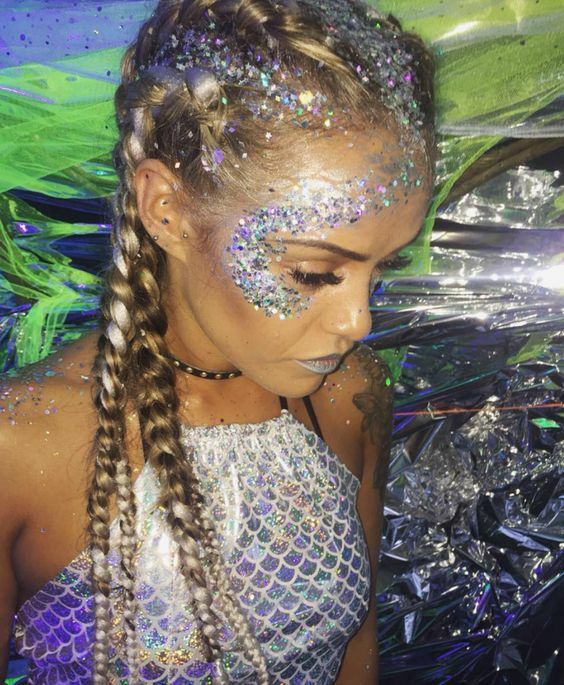 Glitter body paint is now a thing too. 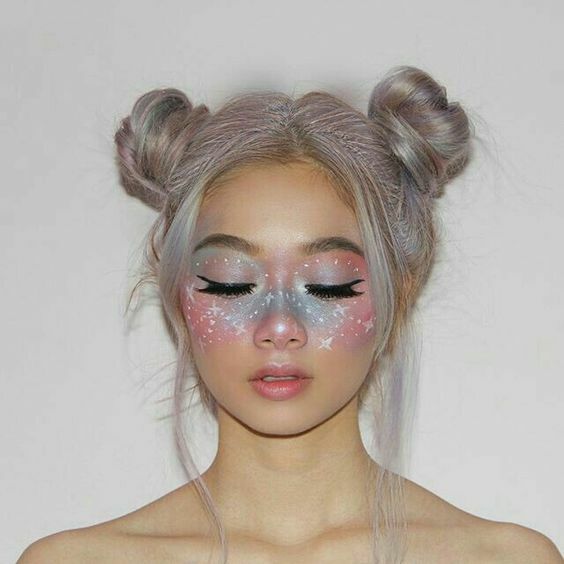 So if you’re feeling brave why not paint a glitter top on, body paint style. 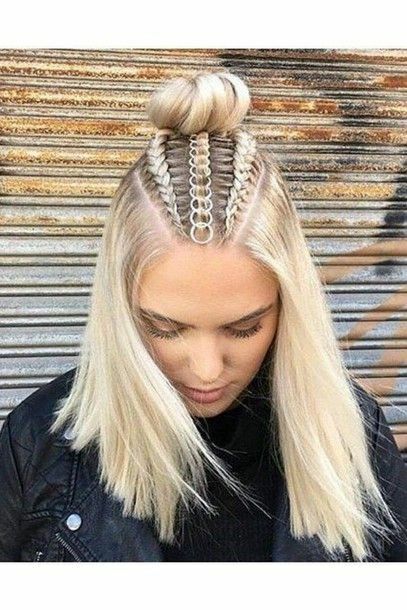 Whatever your style, have fun with it and think outside the box!